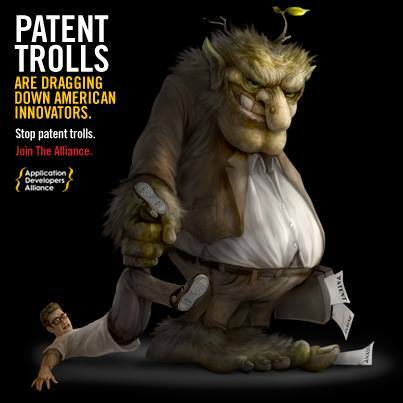 When we studied IP, I was pretty disgusted with the idea of Patent Trolls. To me they seem to violate the central purpose of IP protection. Patent Trolls, also known as non-practicing entities, don’t actually create anything they hold patents for. Instead they make money by threatening litigation, and raking in licensing fees. Because court case can take a long time and be costly, many companies/people end up paying even when they believe the patent claims are false. A good example of this abuse is Soverain Software, which filed and won suits against the like of Victoria’s Secret and Amazon. Soverain claimed, in around 50 suits against retailers, that they held 3 patents that were the basis of online shopping carts. Amazon was ordered to pay $40 million in 2005. Fortuitously, Newegg was taken to court by Soverain, and rather than settle (or even pay the initial ruling of $2.5 million) they appealed and got Soverain’s claims overturned. This ruling, in 2013, eventually led to Soverain losing 27 of the 33 suits that were still active. In 2015, the last 6 cases were ruled not to have merit–essentially voiding any chance of Soverain from using their patents. Not all cases of patent trolling end so well; and laws, such as the proposed Innovation Act, which would hopefully mitigate the negative effects of patent trolls on innovation are hotly debated. Copyright trolls are basically the same as patent trolls. An interesting case that has come up recently is the case of Carol Highsmith, who is suing Getty Images for $1 billion. Getty Images has been licensing her public domain photos, and even sent Highsmith herself a letter demanding $120 for the use of a her own photo (of herself) on her website. Getty Images says they are looking into the claim but also state that it is common practice for image libraries to offer access to public domain images, and is different than claiming copyright. My problem with that statement is that they sent out letters demanding payment from people using the images, even ones that hadn’t gotten access to them from Getty Images. If not claiming copyright, then how can they justify their actions? What legal basis do they have to demand payment/threaten litigation for the use of public domain photos? It will be interesting to see where the case goes. Even if Highsmith only wins half of her asked for damages, it could cripple the company. Interesting topic and one in which you and Tammi focused on similar issues using similar examples. Check out Tammi’s post http://ozodyssey.com/ed654/copyright-trolls/. Years ago I had a small business manufacturing science fair display items. I received a letter from an attorney on behalf of another company telling me they held a patent on the fold of science fair display boards and I had 90 days to 1) report to them all of my sales of the item in question 2) pull and destroy all of my inventory of the item in question 3) pay them lost sales based on the units I sold of the item in question. I was 27 years old and new to the land of business and the letter scared the life out of me. The reaction they were counting on. Thankfully, I had a friend who provided sound advice and I contacted an attorney who drafted a response. Basically telling them to go away. This was on a physical item. The practice has been around for generations.